Our goal is to connect people with the best local experts. We scored tree service professionals on more than 25 variables across five categories, and analysed the results to give you a hand-picked list of the best tree service professionals in Boston, MA. Founded in 1985, All Season Tree Service is a family owned and operated Stoughton tree service providing tree removal, pruning, and stump grinding for homeowners and commercial clients throughout the Boston Metro area. The fully insured company also features crane service and firewood sales and employs EHAP-certified arborists. All Season Tree Service holds an A+ rating from the BBB and provides free estimates. In business since 1977, Arbor Tree Service is a fully licensed, bonded, and insured Wakefield tree service specializing in commercial projects and residential jobs throughout the greater Boston area. The company’s areas of expertise include fine pruning, aesthetic shaping, crown reduction, thinning, stump grinding, and hazardous tree removal. Arbor Tree Service is a recipient of Angie’s List Super Service Award and holds an A+ rating from the Better Business Bureau. A Jamaica Plain tree service since 1979, Arborway Tree Care preserves and maintains trees and shrubs for clients throughout the Boston Metro area. The company handles shrub and hedge trimming and spraying, fertilization, preventative and systemic plant treatments, storm damage estimates, stump removal and brush chipping, lot clearing, and corrective pruning. Arborway Tree Care is a BBB Accredited Business with an A+ rating. With more than thirty years of experience in the field, Bark Busters Tree Service is a Weston tree service specializing in landscaping services throughout the Boston Metro area. The company provides tree care, pruning, removal, planting, winter moth control, hemlock adelgid treatment, and pest management. Former clients call attention to the team’s professional, efficient, and thorough work. A Medford tree service since 2007, Barrett Tree Service East specializes in tree preservation and plant care throughout the greater Boston area. The company provides pruning and cabling services as well as last-resort removal, stump grinding, and replanting. Barrett Tree Service East employs certified arborists, certified tree care safety professionals, and certified applicators and is a recipient of Angie’s List Super Service Award. In business since 2007, Bogan Tree Service is a Quincy tree service providing tree care and removal assistance for commercial and residential clients throughout the greater Boston and South Shore area. The company features tree and shrub pruning, land clearing, tree and stump removal, stump grinding, and emergency maintenance, and free estimates are available as well. Bogan Tree Service affiliations include the Tree Care Industry Association and Massachusetts Arborist Association. Founded in 1977, Boston Tree Preservation is a Woburn tree service dedicated to protecting and preserving the urban forest through the care and maintenance of landscape throughout the area. The company cares for trees, plants, lawn, and soil and provides winter moth and organic tick control services. Boston Tree Preservation affiliations include the Massachusetts Arborists Association, Tree Care Industry Association, International Society of Arboriculture, Massachusetts Community Forestry Council, Winchester Town Forest Committee, Ecological Landscaping Association, and the NOFA. Founded in 2005, Bunner Property Maintenance and Tree Service is a family owned and operated Quincy tree service that also provides interior and exterior painting services, landscape maintenance, and home repairs throughout the greater Boston Metro area. Particular care and assessment services include tree pruning and thinning, tree injections and pesticide applications, and cabling. Tree removal is also available. Bunner Property Maintenance and Tree Service is a recipient of the HomeAdvisor Best of 2014 award. A Boston tree service in business since 1996, Cliffside Tree Service specializes in tree preservation projects for architects and landscape architects throughout the Boston, Maine, and Maine Islands areas. The company focuses on tree pruning, trimming, cabling, bracing, and land clearing. Cliffside Tree Service is involved with a variety of large forest projects as well, including island and coastal forest cleaning, trail and road maintenance, and pasture restoration. In business since 1979, County Tree Service is a North Reading tree service specializing in the pruning and removal of properties throughout the greater Boston area. Other areas of expertise include stump grinding, tree planting, cabling, and commercial snow plowing. County Tree Service features an on-staff Massachusetts Certified Arborist. In business since 1984, Demore Tree and Landscape is an Allston tree service providing landscaping and outdoor services throughout the Boston Metro area. The company’s areas of expertise include tree removal, stump grinding, and tree pruning, and customers can also purchase firewood. Demore Tree and Landscape is a member of the Massachusetts Arborists Association and Tree Care Industry Association, and former clients emphasize the team’s careful work and attention to detail. An owner-operated Boston tree service with more than ten years of experience, Lee’s Tree Service provides greenery maintenance and care for properties throughout the greater Boston area. Services include pruning, hedge trimming, lightning protection, cabling and bracing, tree removal, stump grinding, and planting and transplanting. Lee’s Tree Service is fully insured and features free estimates. Manning Tree & Landscape is a Boxborough tree service providing landscape and hardscape construction services to commercial and residential clients throughout the greater Boston area since 1985. Tree services are also available, such as removals, pruning, stump grinding, and wood chipping. Former customers appreciate the team’s communication tactics, professionalism, and friendly nature. A family owned and operated Dedham tree service founded in 1994, McKinney Brothers Tree Service specializes in green maintenance, care, and preservation of residential and commercial properties throughout the Boston Metro and Eastern Massachusetts area. 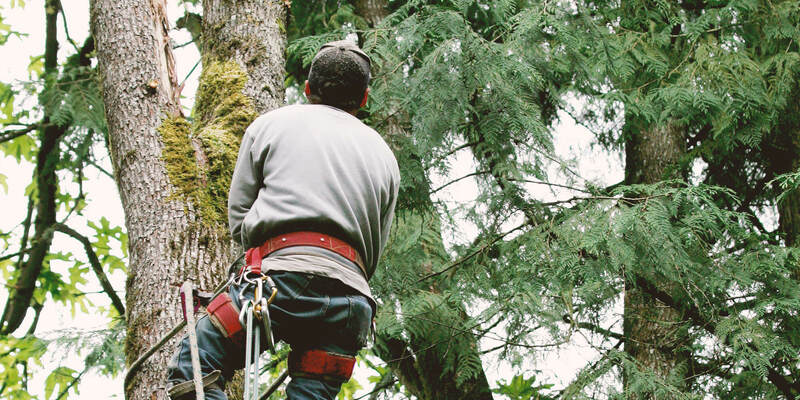 Services include pruning, cabling and bracing, and tree removal as a last resort. Stump grinding and brush chipping services are also available. McKinney Brothers Tree Service is fully insured and features free consultations and estimates. Mez Tree Service is a locally owned and operated Boston tree service serving the landscaping needs of commercial and residential clients throughout the Boston area. The company specializes in tree cutting, removal, pruning, and maintenance, and firewood is available for purchase as well. Mez Tree Service features twenty-four-hour emergency tree care, and customers receive free estimates. The company is a member of the TCIA. A Woburn tree service company in business since 1990, Middlesex Tree Service provides tree trimming, removal (including hazardous trees), view restoration and preservation, aesthetic pruning, and stump grinding services throughout the Boston Metro area. The company is insured and uses bucket trucks and safety harnesses. Former customers describe the team at Middlesex Tree Service as professional, courteous, fast, and affordable. Founded in 1981, New England Tree is a fully insured Stoughton tree service company specializing in tree care for homes and businesses throughout the Boston Metro and Southeastern Massachusetts area. The company provides tree pruning, removal, cable bracing, stump grinding, and eco-friendly fertilization and pest management services. New England Tree is a licensed member of the Massachusetts Arborist Association and National Arborist Association. In business since 1998, Pema is a Revere tree service providing routine tree care throughout Boston and surrounding areas. The company specializes in tree removals, trimming and pruning, and stump grinding. Pema affiliations include the Institute of Inspection Cleaning and Restoration Certification and a member of the Chelsea Chamber of Commerce. Former clients emphasize the team’s prompt and courteous service, and customers receive free estimates and warranties. An insured Arlington tree service founded in 2003, Rines ArborWorks provides high-end tree and landscape services to clients throughout the Boston Metro area. The company specializes in tree and shrub pruning, planting and landscaping, removals and hazard assessments, tree inventories, and consultations regarding the protection and preservation of greenery. Rines ArborWorks is a member of the International Society of Arboriculture (ISA), and the owner is a Massachusetts Certified Arborist. Ross Tree and Contracting is a locally owned and operated tree service company serving Sudbury and the Boston Metro area since 1981. The company specializes in tree removal, excavation, demolition, and firewood sales. Tree pruning is also available as well as pest and disease control. Ross Tree and Contracting is a BBB Accredited Business. A fully insured Roslindale tree service, Schwan’s Tree Care provides residential and commercial clients with fine pruning, tree removal, and planting services throughout the greater Boston area. The ISA-certified company also focuses on tree health maintenance and storm damage, and interested customers receive free quotes. A Foxboro tree service company since 1986, Tree Tech serves residents and businesses throughout the greater Boston area. The company’s services include tree trimming, pruning, removals, land clearing, plant health, and insect control. A TCIA Accredited company, Tree Tech is a 2013 recipient of Angie’s List Super Service Award and belongs to the following organizations: International Society of Arboriculture, Tree Care Industry Association, Massachusetts Arborists Association, and Massachusetts Tree Wardens and Foresters Association. Walnut Tree Service is a family owned and operated Stoughton tree service serving residential and commercial clients throughout the Boston Metro and greater South Shore area for more than five years. The company specializes in the trimming, shaping, and removal of trees, shrubs, and stumps. Walnut Tree Service features free estimates and twenty-four-hour emergency services. Former customers rave about the team’s clean, organized, and timely service.